Matt+Naomi. Goodness. 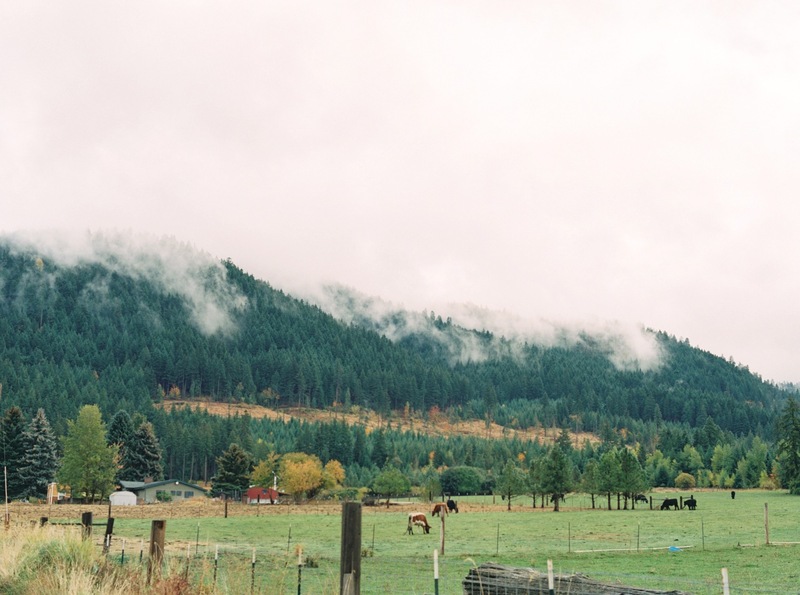 Their fall wedding in an orchard tucked away in Hood River was magic. I had never been to Mt Hood Organic Farms before so I planned a scout day and you guys... I was so overwhelmed with every single turn of my head. There is no nook of this place that isn’t photogenic and I have to be honest… I was so visually overwhelmed. It was soft and drizzly while Matt+Naomi got ready (they arrived together in one car. So cute, guys) and then the sun greeted us moments before they saw each other to kick off our portrait session before their vows. And even while the venue itself is so stunning, everyone one was quiet bothered that the peak of Mt Hood was hiding behind the clouds all day, teasing us, dangling a carrot. Dinner time comes along and there she is. Basking in a Fuji Pink Sky, as I like to call it. : ) Show off. Naomi’s dress was vintage from a shop in San Francisco that she had custom designed and it was made for her. Her smart, sophisticated style was everything and I’m pretty certain I told her she needed to get in that dress fast or else I’d walk right off the property with it. Just wow, Naomi. follow along on the 'Gram!